Peter and Katharina Markt, who were pioneer settlers of Village Creek and both natives of Germany. He was educated in the local schools of Village Creek and later attended and graduated from the Decorah Business College. After this, for a time, he was associated with his brother Carl in business in Waterville. Then he became a traveling salesman for the John V. Farwell Company of Chicago Illinois, the Wyman Partridge & Co of Minneapolis Minnesota, and V. Tasche Hardware Comany of LaCrosse, Wisconsin. He also sold merchandise to his siblings for their shops and stores in the Lansing area. After his career, he started an insurance business in Lansing, selling for the New Hampshire Co of Manchester N.H., United Benefit of Omaha, Employers Mutual Casualty Company of Des Moines, and Central State Mutual orf Mt. Pleasant, IA. He continued this career until his death. On Nov 23, 1915 at Immaculate Conception Church in Lansing, he wed Mary Elizabeth Serene before a nuptial mass. Fr. Dean Haxmeier officiated. The bride was the eldest daughter of Charles and Anna Serene. After a honeymoon trip to the twin cities and Chicago, the couple resided on front street in the residence which the groom purchased a year and a half before marrying. This home would be in the P.J. Spinner family for 99 years. From this union were born four sons; John Peter, Charles Phillip, Paul Peter, and Louis Phillip. 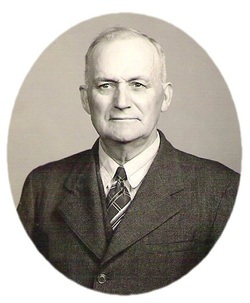 In 1934, Peter was appointed the first original manager by the Iowa Liquor Control Commission of the Lansing liquor store, serving from 1934 until the end of 1940. This was a political appointment, offered only to a Democrat. The uncertainty of life was forcibly illustrated on Wednesday, May 4, 1945 when Peter J. Spinner died suddenly from the effects of the flu. He had gone to St. Francis Hospital in LaCrosse on Sunday morning for treatment, and was expected home in a dew days. Left to mourn his loss was his wife Mary, and his four sons, John and Louis of Lansing, Paul of San Diego, and Charles in the Southwest Pacific, the latter two in Navy service. All mourned the loss of a kind and loving husband and father. Other survivors included his two brothers, William and Con of Lansing. He was preceded in death by his three brothers; Frank, Carl, and Fred, an infant sister Katherine Mary, and his sister Miss Mayme, as well as his parents. Funeral services were held Saturday May 6, 1945 at Immaculate Conception Church with Rev. Father Henry Scharphoff offering the Mass of Requiem. Burial was in Gethsamane Cemetery in Lansing. Peter was of a genial disposition, a kind friend, a good business man, an avid hunter and fisherman, who had a great love of the Mississippi river, the Democratic Party, and his family and friends. He was a life long Catholic and a member of the I.C. parish in Lansing. He also was a member of the Knights of Columbus and the Foresters. John lived in Lansing his whole life. He attended Waukon Jr. College, and Married Agatha Wagner in 1943. Children were twins, Robert John and Betty Jane. He was a biologist for the State Conservation Commission, and managed the State Conservation station in Lansing for 44 years. He was active in local politics and was a member of the town council for several years. He also was active with his church being a Trustee for many years, and he was instrumental in saving the altars from demolition during the 60's. These altars were shipped from Germany. Charles attended Waukon Jr. College. He was in the Navy, experiencing heavy combat while serving in the South Pacific. He was a meteorologist also, working in Madison, Milwaukee, St. Cloud, and LaCrosse. He returned to Lansing because of war related disabilities, he then worked part time at the Knopf's Standard Station. Charles never married. Paul entered the Navy and was stationed in San Diego. He also attended Waukon Jr. College and graduated from the University of Iowa school of Pharmacy. He worked as a Pharmacist in Chicago, Fort Dodge, and LaCrosse. In 1955 he came back to his hometown and became the local druggist (Spinner Drug Store) until 2002. He also was co-founder of S & S houseboat rentals. He married LaVerne Hintgen of LaCrosse Wisconsin in 1962. Louis was educated in Lansing. He was in the Army in Germany, and then returned to Lansing where he worked for the Lansing Company for 36 years as a shipping clerk. He also was one of the last commercial fishermen in the Lansing area. He loves the river and his boathouse on the river. Since 2008 Louie has resided at Thornton Manor in Lansing. He never married. Of these four sons, the only decedents were the children of John Pete, twins Robert John spinner 1948-1989, and Betty Jane Spinner Bell, who resides in Columbus Junction, Iowa. The sources for this article were from the Allamakee Journal of Lansing.